"Some medications just don't work," medical marijuana supporter Frank Riojas said. Riojas said he's had family members leave the state for treatment. "There's a lot of cancer in my family," he said. "My grandmother actually died from cancer and I feel like medical marijuana would've helped her," medical marijuana supporter Brian Lett said. 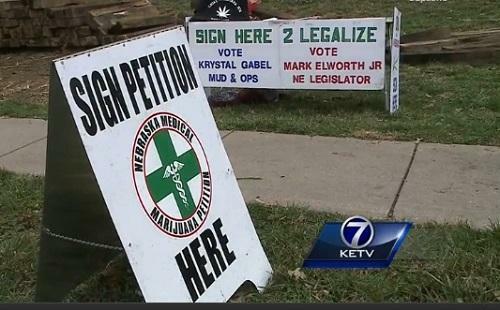 It's much easier and takes only a fraction of the signatures needed for a ballot initiative.